Clive Thompson LRPS Photography: Phoenix Hotel, 52 East Street, Taunton, Somerset around 1973-4. Phoenix Hotel, 52 East Street, Taunton, Somerset around 1973-4. 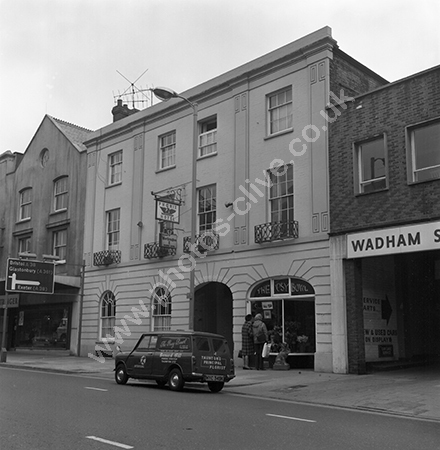 The Phoenix Hotel, 52 East Street, Taunton, Somerset around 1973-4. Part of the ground floor is taken by the Posy Bowl florist who have their mini van HYC 349K outside registered as new in 1971. The van advertises Bernard Gill funeral directors and Interflora. For commercial use of this photo, including use on another website, please visit Alamy.com and search for M3N9G6. For a one-off print please see below.